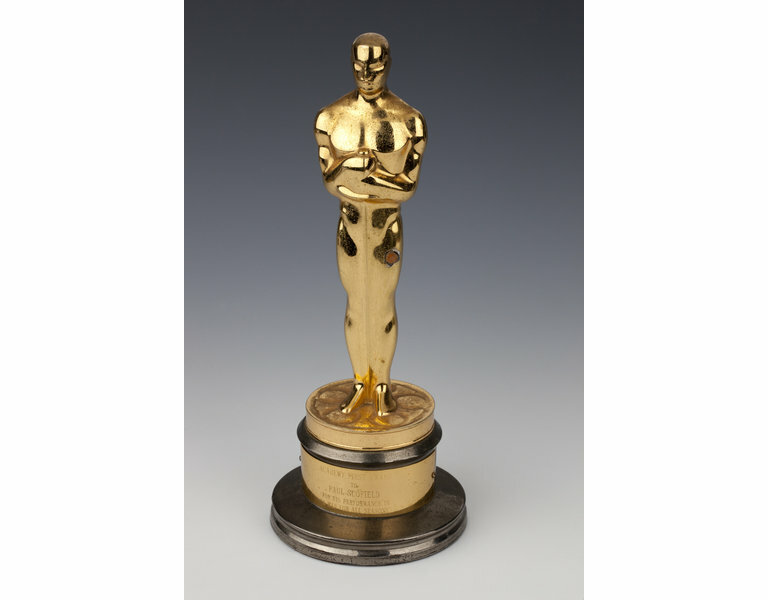 Academy Award statuette, known as an Oscar, awarded to Paul Scofield for his performance as Sir Thomas More in the film A Man for all Seasons adapted by Robert Bolt from his own stage play and directed by Fred Zinneman. 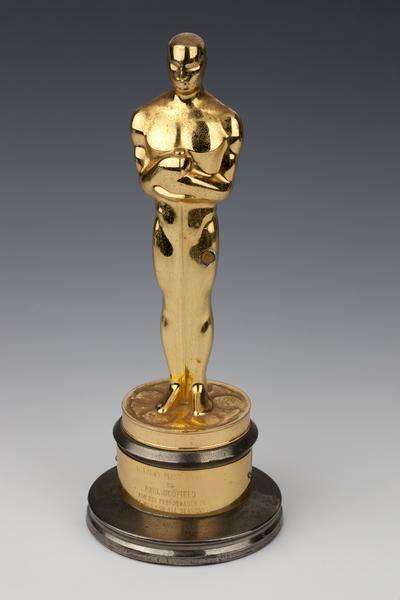 The film won a total of six awards at the 1966 Oscar Ceremony, held on 10 April 1967: Best Actor, Director, Adapted Screenplay, Cinematography, Costume Design and Best Picture. 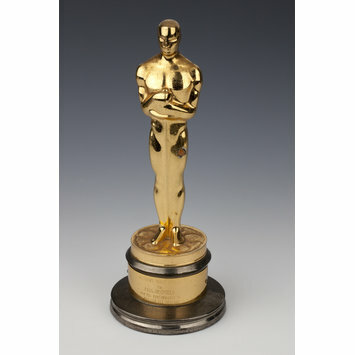 Gold plated Academy Award statuette. Paul Scofield didn't collect the Oscar in person and instead chose to have it mailed. It arrived broken and he asked his gardener to fix.